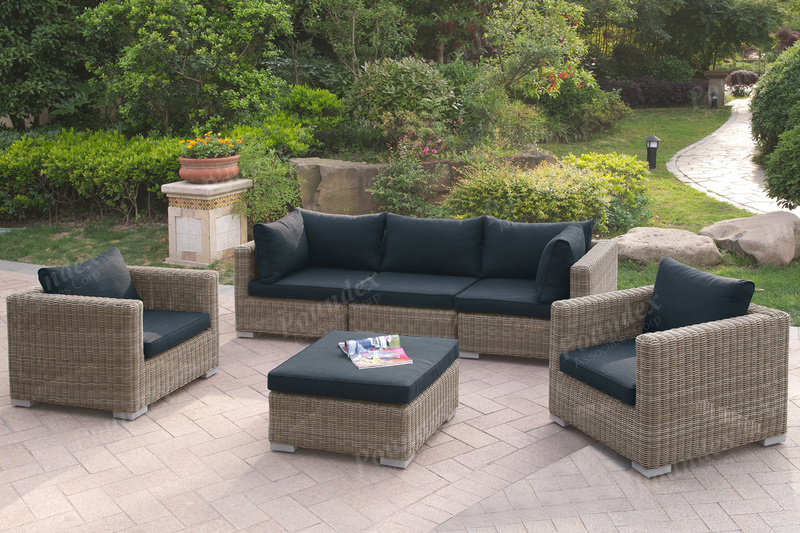 Step outside into an outdoor living space that provide comfort and class. 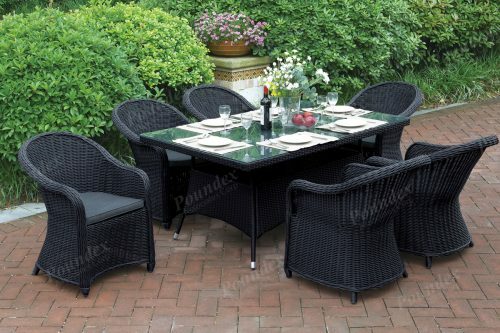 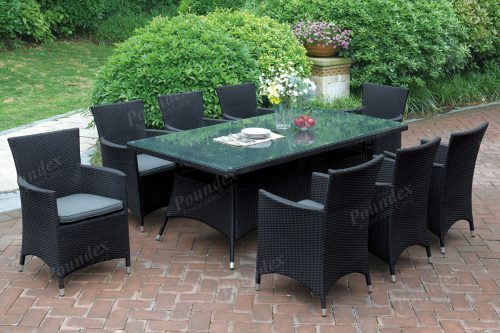 This 6-piece patio sofa set includes two arm chairs, an armless chair, a corner sofa and an ottoman trimmed in tan resin wicker with black seat and back cushions. 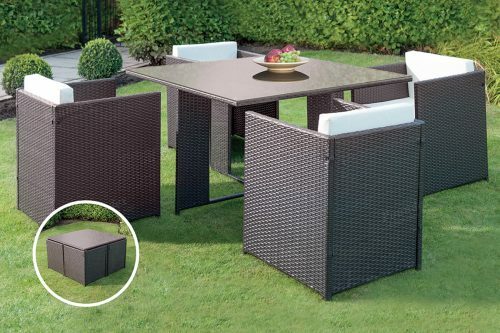 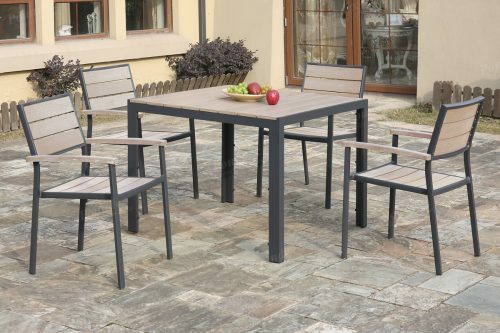 This collection features an all-weather, heat and rust resistant aluminum durable frame perfect for the outdoors.